While India gears up for the fourth generation of mobile telecommunications, we take a detailed look at the possible challenges and drivers. It has been almost two years since Bharti Airtel launched 4G services in India. Launch of the fourth-generation of mobile telecommunications had come at a time when 3G was still in its nascent stage. While 3G coverage has grown significantly, 4G seems far from becoming mainstream. Though Airtel has rolled out 4G in some more circles, other telecom operators such as Aircel, Videocon Telecom and Reliance Jio are likely to launch their 4G services around year-end or starting next year. Deployment of 4G network in India is certainly not going to be easy as the telecom operators face the challenge to launch a new network along with improving the existing 2G and 3G networks in the country. One of the major challenges is the usage of multiple frequencies for rolling out LTE. While co-existence of all radios/spectrum is always possible, it also means that the mobile phone makers need to add support for more radios, which may lead to more costs or complexities. A standard usage of 4G frequency will simplify things for the operators as well as the hardware manufacturers. Airtel currently offers 4G for mobile on 2300 MHz LTE and it plans to roll out high-speed 4G networks in various circles using FD-LTE (frequency division LTE) technology in the 1,800 MHz band along with its existing TD-LTE (time division LTE) rollout in the 2,300 MHz band, giving it a pan-India 4G footprint. Even as 2,300 MHz is gaining momentum, the 1800 MHz is considered to be a more "global" spectrum for 4G network. Currently, the 1,800-MHz spectrum is being used to offer only 2G voice services in India but with the government liberalizing spectrum, operators have the option to deploy 4G network on the 1,800 MHz band as well. Telecom operators, however, will need more spectrum from 1,800 MHz to provide smoother LTE service. Around 108 operators have launched 4G services on 1800 MHz band in 58 nations. 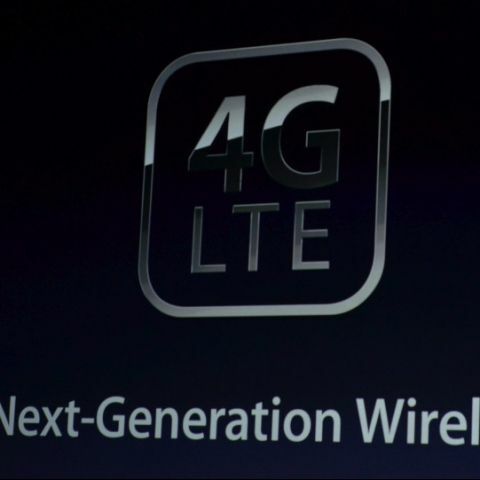 4G on 1800 MHz covers 44 percent of total LTE networks globally. It requires 30 percent lesser towers than on 2,300 MHz. Similarly, 700MHz and 850MHz bands are considered good for LTE deployment as they offer lower frequency and propagation losses are less. Unlike 1,800 MHz, these bands lack an eco-system and may require a few more years. One of the main reasons behind slower adoption of 3G was its steep pricing. 4G faces the same challenge. India is a price-sensitive market. Operators have been wooing customers with low-cost tariff plans for both data and voice. Brief price wars have helped increase 3G adoption in the country. For 4G, operators will have to launch customized plans for Indian customers. However, it is going to be really difficult for the telcos as they reel under pressure to maintain their margins as they pay spectrum costs. “The challenge for telecom service provider in the coming years would be to provide one Rupee per Gigabit over 100 Mbps by 2020 to everyone”, says Mr. Vipin Tyagi, Director & Member of Board, Centre for Development of Telematics (C-DOT) while addressing LTE India 2014 conference in Delhi. Users would expect digital action in real time in their daily work and play. Indigenous research development like GPON technology by C-DOT has reduced costs. “LTE deployment is slowly picking up in the Indian market and we are now neck-to-neck with the global market. While India was almost 10 years late with 2G and almost Six (6) years late with 3G as compared to the global market,” adds Mr. Ranjan Sharma, Director Technical & Commercial, ZTE Telecom India. Speaking of smartphones, right now there are very few smartphones that support LTE. 4G adoption is likely to get another boost from the low-cost/budget smartphones supporting the network. Smartphones bundled with data plans can also help drive LTE adoption. The Indian telecom operators have always struggled to deliver quality. Not that they aren't making efforts, but catering to such a huge customer-base hasn't been easy. Data coverage has a lot of (arguably) discrepancy across the country. There have been some improvements over the years, though operators need to improve the existing 2G and 3G coverage and services along with the deployment of the new 4G network. Moreover, LTE is set to create "data avalanche" as customers are expected to consume heavy data content such as videos, games and stream content. Operators need to brace up to deliver hassle-free services to customers. As in the case with 3G, customers tend to consume more content online if given faster and smoother data network. There's been a significant growth in consumption of videos, especially on the mobile platform. According to a recent survey conducted by Vuclip, about 62% of Indian respondents prefer to view movies or TV serials instead of short movie clips on their phones. At 79%, this preference for long form content is extremely high among the age group of 18 years and under. Additionally, 89% of all respondents say they would watch their favorite movie on their mobile phones if it was made available. If divided further by gender, 90% of male respondents and 84% of female respondents from India say that they would view their favorite film via mobile. With 4G, consumption of online videos is likely to grow. Moreover, streaming of HD videos (and perhaps 4K content as well) is going to put a huge stress on the LTE network – for which telcos need to be prepared. Ericsson India in its outlook for India's broadband segment points out that every app has its own requirements depending on the network performance. Operators can customize or prioritize the consumer’s experience for certain apps. Through techniques such as deep packet inspection and policy control, the network is able to identify which app is demanding more data throughput. Coupled with data plans that are ideal for certain apps – say for instance you care more about video streaming than IM apps – the network could in theory, customize the experience for you. In other words “App Coverage” aims at delivering sufficient performance to run an application at acceptable quality. In addition to general usage, LTE adoption heavily banks on adoption by the enterprise market. With offices and businesses, especially the SMBs, embracing the newer and faster network, LTE will see a larger mass adoption. Moreover, more and more organisations allowing remote working through BYOD, employees are increasingly dependent on their smartphone Internet connection to work while out of the office. The better speed of 4G can help them do more and faster. LTE cannot remain niche for too long. It has to be accessible by all. We expect telcos to initially focus on the metro and urban cities, but sooner or later it has to reach the rural consumers, considering growing data consumption in tier 2 and tier 3 cities. However, telcos are still in the middle of making efforts to make 3G available to the masses. It will be interesting to see how telcos make that quick jump from 2G to 4G in the rural segment. That said, the telecom industry seems very optimistic about the deployment of 4G in India. However, the major part of a successful adoption will depend on right strategy and implementation. Undoubtedly, 4G has massive potential and could be a key driver to India's growth in the IT and telecommunications sectors. 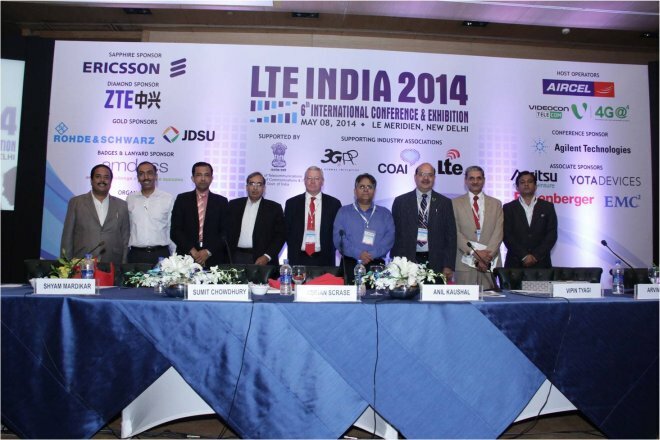 (Inputs from LTE India 2014 conference). Career opportunities for videogame writer?